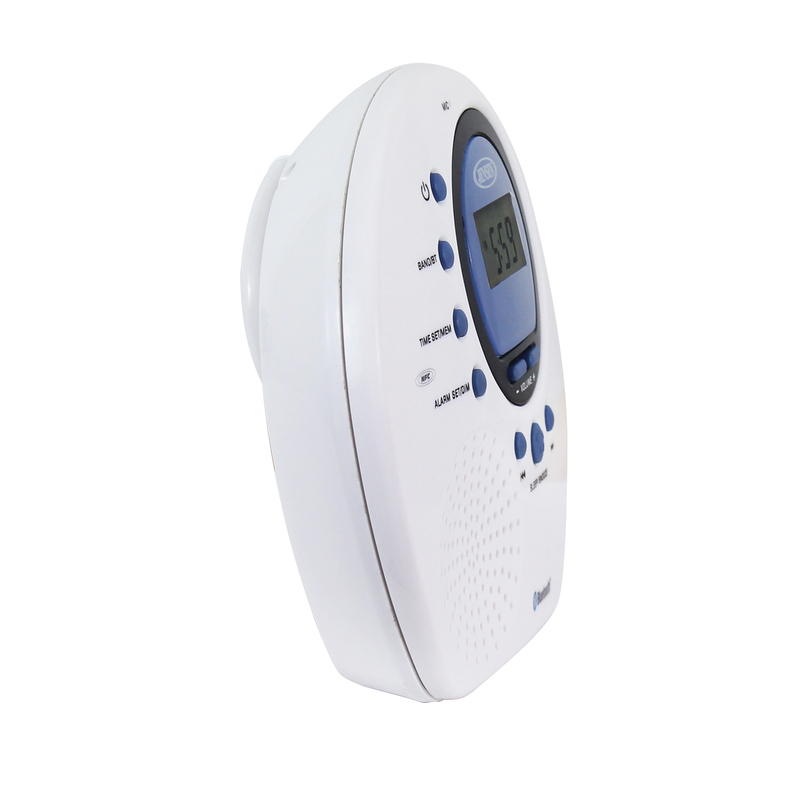 The JENSEN® JWM-160 lets you tune in to your favorite radio station even while in the shower! 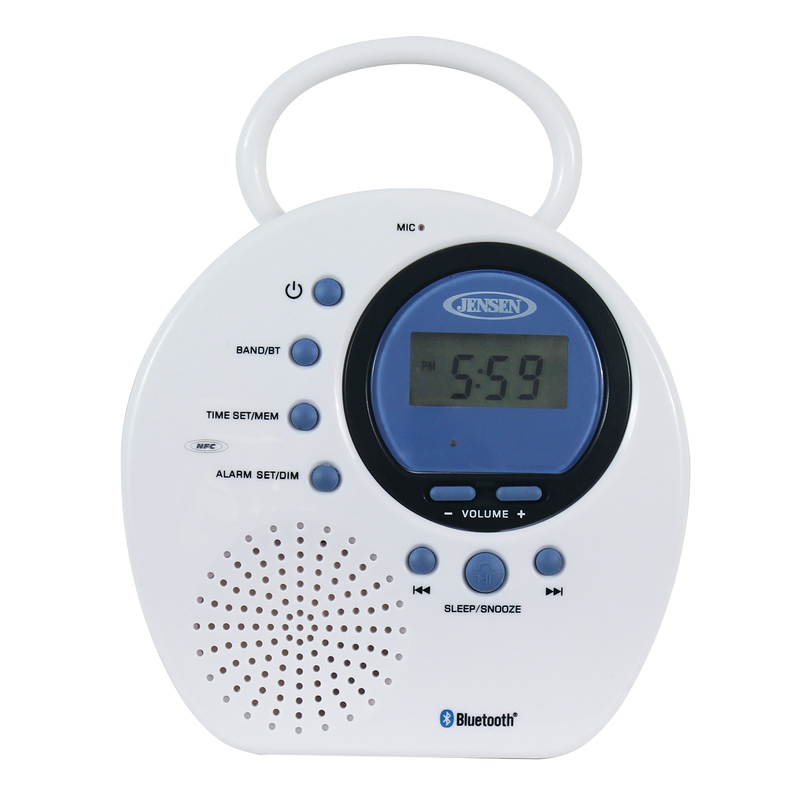 This water-resistant digital AM/FM Bluetooth shower clock radio can be placed on a counter, hung from your shower head or attached to a curtain rod for easy access. 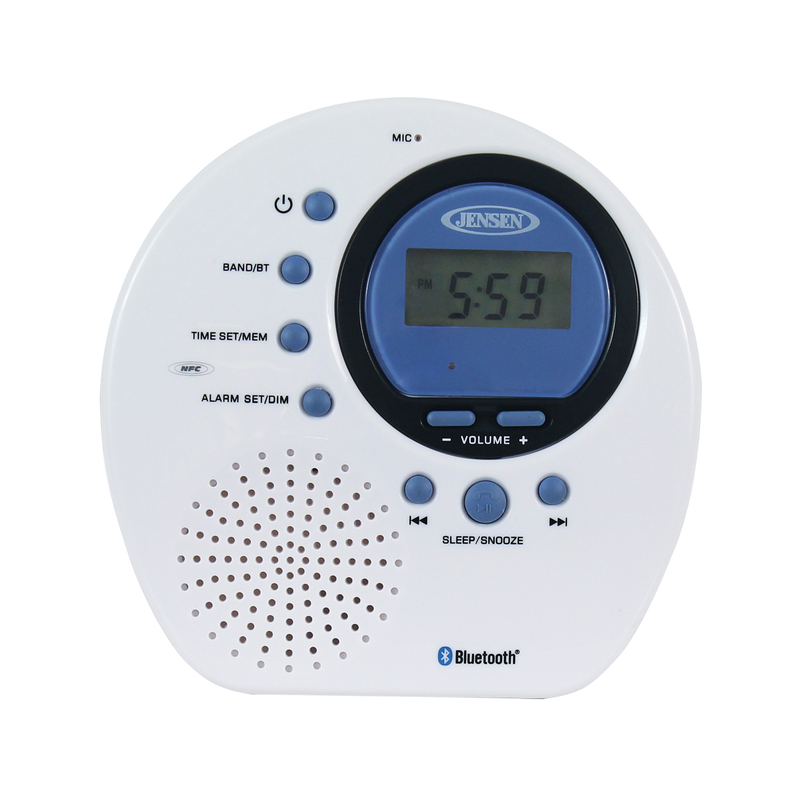 The JWM-160 features Bluetooth connectivity, so you can stream music wirelessly from your Bluetooth enabled smartphone as well as take calls using the hands-free speakerphone. The unit also features a built-in alarm clock with sleep, snooze and wake to radio or alarm functions. 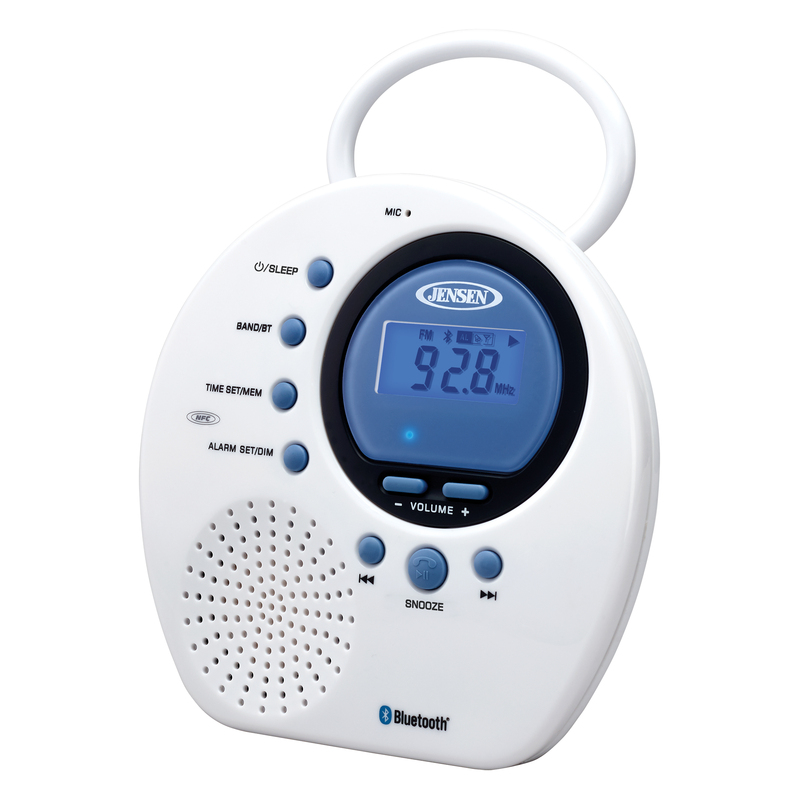 Also included is a blue back-lit LCD display, splash resistant cabinet and built-in antennas. The unit operates on 4 "AA" batteries (not included).